States with stricter firearm laws have lower rates of firearm-related deaths in children, according to cross-sectional analyses to be presented during the Pediatric Academic Societies (PAS) 2018 annual meeting. The Children's-led research team also found that states with laws that mandated universal background checks prior to firearm and ammunition purchase were associated with lower rates of firearm-related mortality in children, compared with states that lacked these laws. 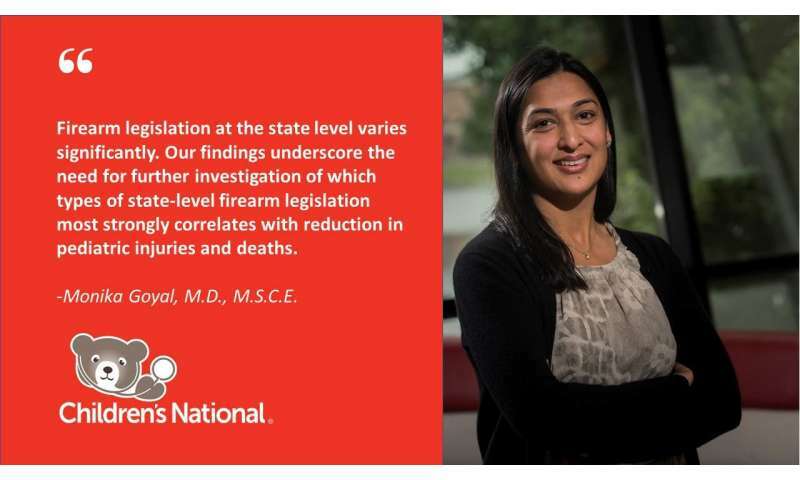 "Injuries due to firearms are the nation's third-leading cause of pediatric death," says Monika Goyal, M.D., M.S.C.E., director of research in the Division of Emergency Medicine and Trauma Services at Children's National Health System and lead author of the research paper. "Firearm legislation at the state level varies significantly. Our findings underscore the need for further investigation of which types of state-level firearm legislation most strongly correlates with reduction in pediatric injuries and deaths." 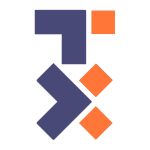 The research team analyzed data from the 2015 Web-based injury statistics query and reporting system maintained by the Centers for Disease Control and Prevention to measure the association between Brady Gun Law Scores—a scorecard that evaluates how strict firearms legislation and policies are in all 50 states—and state-based rates of firearm-related death among children 21 years and younger. "Newtown. Orlando. Las Vegas. Parkland. Those are among the mass shootings that have occurred across the nation in recent years. While these tragedies often are covered heavily by the news media, they represent a subset of overall pediatric injuries and deaths due to firearms. Pediatric firearm-related injuries are a critical public health issue across the U.S.," Dr. Goyal adds. "Pediatricians have helped to educate parents about other public health concerns, such as the danger posed by second-hand exposure to tobacco smoke or non-use of seat belts and car seats. In addition to presenting our most recent study results, members of our research group are also hosting a workshop at PAS aimed at inspiring pediatric clinicians to similarly tackle this latest public health challenge and to advocate for firearm safety," she says.